The Wii U looks great and all, but what will it mean for the Wii's Dragon Quest X? Wii development has sharply dropped off in recent months, primarily because Nintendo was hiding the Wii U behind that red curtain from Super Mario Bros. 3 that it's still using today. While many companies might be ending their time with the Wii, Square Enix is still in the process of developing Dragon Quest X for the console. 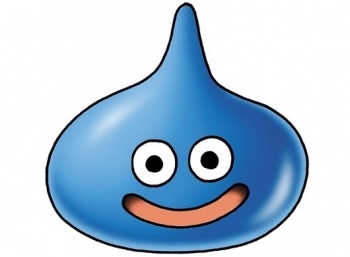 So what does the Wii U mean for Dragon Quest X? During a shareholder's meeting, Square Enix CEO Yoichi Wada was asked about the merits of continuing to develop Dragon Quest X for the Wii, a system that in essence is on its way out. Reports had come out stating that Wada said Square Enix planned to make Dragon Quest X compatible with the Wii U in some manner. These reports have turned out to be false. The truth of Wada's answer seems to have confirmed that Dragon Quest X will remain in development for the Wii. He actually said that Square Enix is doing "technical tests" to see about supporting the Wii U with other possible launch titles instead, not that Dragon Quest X would be made compatible. Considering how we've been shown absolutely nothing involving Dragon Quest X yet, the game could end up being the Wii's swan song. If it takes long enough, it might be forced to make the jump to another platform. It would be a huge boon for Nintendo if Dragon Quest X made the jump to Wii U, but I'm sure Nintendo will make a few bucks having the game remain on the Wii too, just as long as the system is still in production.